With reports of four rear cameras, Samsung would be making a big jump up from the two rear cams on the Galaxy S9. After lackluster sales of the Galaxy S9, it seems Samsung has some big plans in store for its next Galaxy phones. And that’s in part because next year will be the 10th anniversary of the Galaxy S line. According to a new report from the Wall Street Journal, Samsung is going to blow out the Galaxy S10 lineup with three new models featuring screens ranging from 5.8 to 6.4 inches, along with a fourth, 5G-ready model with a massive 6.7-inch display and a total of six cameras littered across its body. While the WSJ mentions that two of those cameras are reserved for the front of the special edition S10—which has reportedly been codenamed Beyond X—the report doesn’t say what each of the other four lenses are for. If I had my say, I’d like to see a high-res main camera, a wide-angle lens for capturing landscapes, and lens with a 3x optical zoom for shooting faraway subjects, and one lens dedicated for shooting in low-light scenarios. 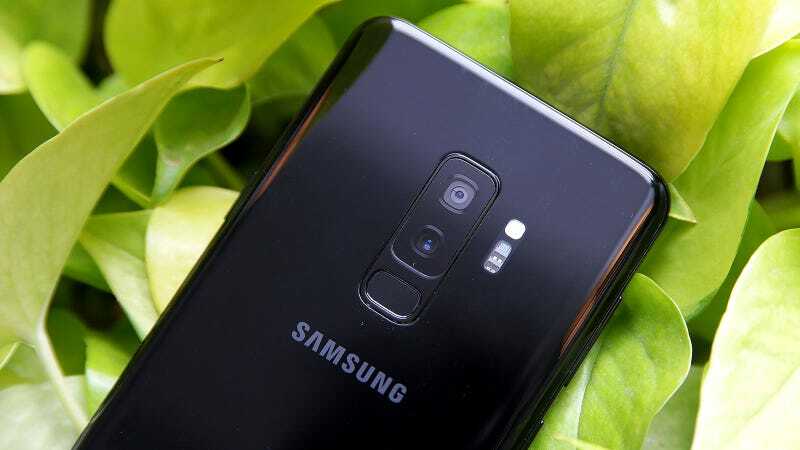 If the report is accurate, Samsung’s six-camera S10 would one-up the five-camera V40 released by fellow South Korean electronics giant LG this fall. However, even with all those lenses, it’s quite possible Nokia might steal the spotlight from Samsung with a still-unreleased handset featuring five rear cameras that appeared in leaked photos back in September. Now, based on the success of the Pixel 3 and its single rear camera, some people might argue that all of those additional cameras smartphone makers are cramming onto devices aren’t all that unnecessary. But that’s not quite right. Instead, increasing the number of cameras is more like a different path to the same end goal, because you have to remember that at its core, Google has always been a software-driven company, while Samsung’s strength lies in hardware. And by combining photographic info from multiple lenses, a four-cam setup could be Samsung’s best response to the computational photography used in many of the Pixel 3's advanced camera features like Night Sight and Super Res Zoom. But even with as many as four Galaxy S10 devices in the works, the most exciting thing about smartphones in 2019 might still be Samsung’s upcoming bendable phone. Up till now, Samsung’s folding phone has simply been dubbed the Galaxy F. However, the WSJ claims Samsung has narrowed the list of potential names, with Samsung Flex or Galaxy Flex currently billed as the most likely final designations. Either way, between this rumored bunch of Galaxy S10s, the Galaxy Flex, a rumored mid-range Pixel from Google, Nokia’s 5-rear camera phone, and the rollout of mobile 5G, 2019 is already shaping up to be an incredibly interesting year for phones. And to that, I say hell yeah. Bring ‘em on.